Brendan thought he had torn a muscle in his leg when he began noticing inflammation in his right hip. Feeling no pain or discomfort, nonetheless Brendan visited his local GP. After an x-ray, ultra sound and then a MRI, he was shocked to discover that he had a large cancerous mass the size in his inner right thigh. Initially referred to Peter MacCallum Cancer Centre, Brendan was then referred to St Vincent’s, where a treatment plan was put in place. Brendan’s treatment started with radiation to kill as many cancerous cells as possible, followed by a full day of surgery. 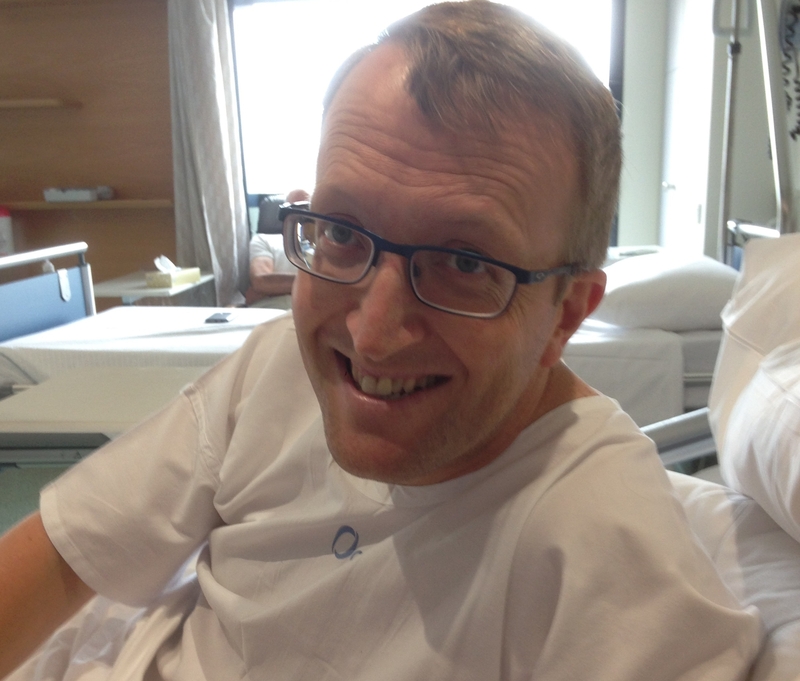 ‘That was one of the hardest moments, waking up after a gruelling day of surgery,’ Brendan says. ‘My wife didn’t get to see me until after 8pm that night and said I was as white as a ghost. I had lost about 1.5 litres of blood. The surgery involved two specialist teams; orthopaedic surgeons removed Brendan’s tumour and specialist plastics and reconstructive surgeons reconstructed his leg. A few days later, Brendan received the best news possible, that he was completely cancer free. Brendan is determined to give back to the hospital that saved his life and is fundraising to help others who are in similar situations. Recovery is slower than Brendan would like, but he is staying positive and building up strength in his right leg. The doctors say it will take six months to get back to how he was before the treatment began. Brendan is sharing his story so that others, who may find something different or odd with their bodies, immediately consult a medical professional.